There are lots of beautiful things to see and visit while in Copenhagen, but if you have merely a day there are a few things I personally think you should not miss. In chronological order I suggest that you start at The City Hall Square, in front of Palace Hotel. If you have a lot of time you could pass by Rosenborg Castle, where the Crown Jewels are protected by the Royal Guard. Otherwise just walk down through the main street (strøget) until you get to Kongens Nytorv. Here you will see the beautiful Royal Theater, world famous for its Royal Ballet. 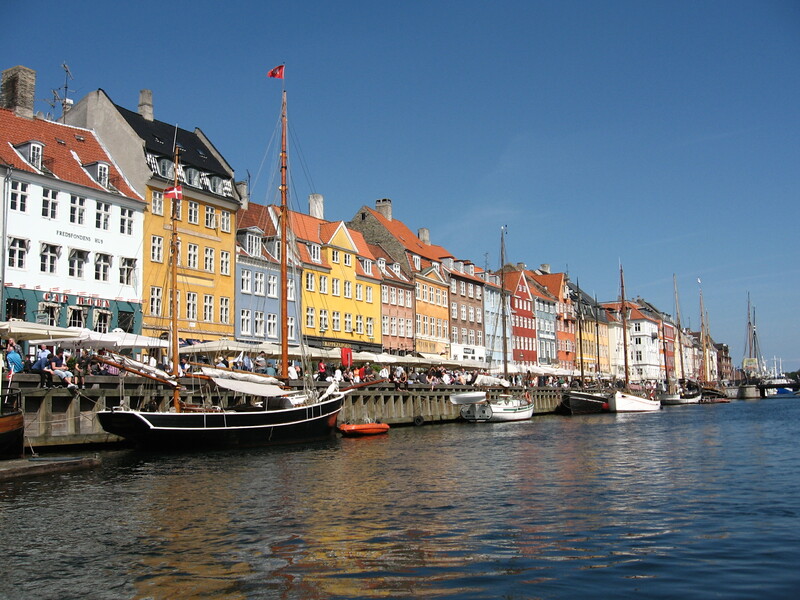 Go to Nyhavn which is the colourful canal district right by Kongens Nytorv. Here I suggest you take a boat tour. If you go to the boats on the right side of the canal a boat tour only cost you 30 kr (5 $) for one hour. It is really worth your while. Afterwards take a stroll along the waterfront to Amalienborg Palace – winter residence of the Royal Family. Here we have the opportunity of seeing the changing of the Danish Royal Guard. This should be followed by a visit to the Gefion Fountain and The Little Mermaid, inspired by H. C. Andersen’s fairytale. At the moment she is, however, on vacation and not there. Go back along the water front and head over to Christiansborg Palace, home to the Danish Parliament and the Old Stock Exchange. After that I suggest that you go to Christiania – the freetown. It’s a lovely artist village established in the 1970s where you will be able to see an alternative way of living and eat some lovely (vegetarian) food. Tivoli Gardens is a lovely place to end the day and spend the evening.